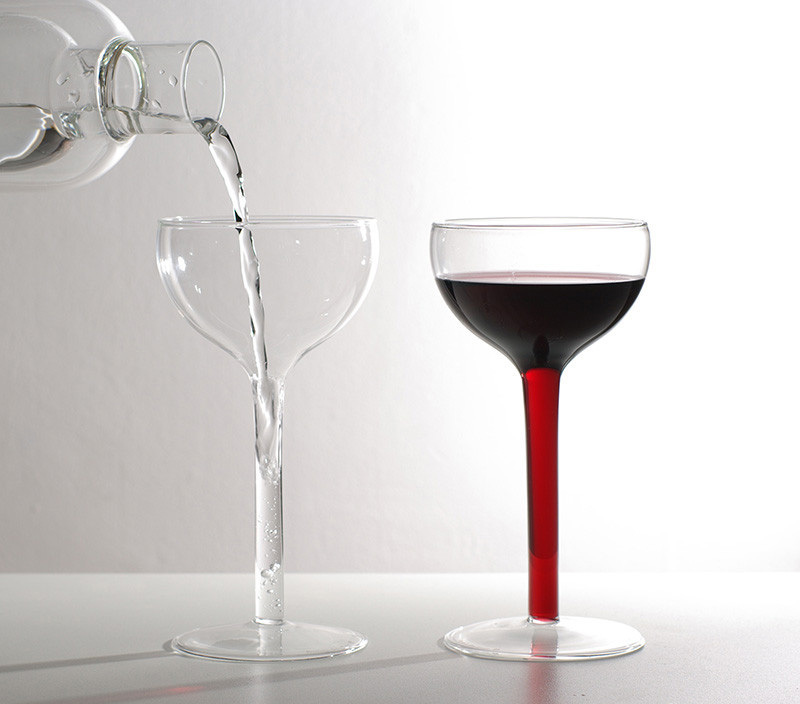 These unique wine glasses allow you to pour the liquid into the stem of the glass which will then fill up to continue the liquid into the actual body of the glass, and is a great way to get a bit more wine into your glass without looking like a true alcoholic by filling your wine glass so high it has a meniscus. Although, granted isn't the sole reason of the stem of the wine glass to prevent your hand from warming up white wine, or maybe I'm just some idiot who has no idea what he's talking about when it comes to wine, which is quite possible. None-the-less the stem fillable wine glasses are sure to get you a bit more wine with each glass and make you look ever-so classy while you drink it. Aptly named the "Emotion Wine Glass", the design of the wine glasses are a vast departure from the traditional design. 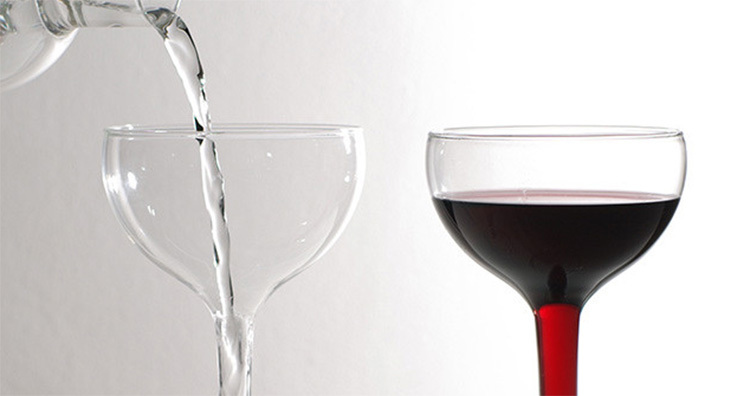 The hollow stem wine glasses come in two to a set, are made from Borosilicate glass, hold 5 fluid oz each, and each glass measures 7 inches tall x 3.5 inches in diameter.